I’m a Fish is a project led by New York and Boston based artist Chando Ao, who recently graduated from the School of Fine Art in Tufts University, together with technique supports from Bjorn Sparrman (researcher from MIT Self-Assembly Lab) and Qifan Liang (programmer from Boston University). This project draws on the artist’s distinctly witty approach to redefining concepts of space, cognition, and perception through subtle fusions of technological design and natural agents. Placing a group of small fish into direct exchange with the physical space of the gallery, and the body of the visitor, the show walks a fine line between animal, technological, and human exchanges. Ao’s project places a sextet of fish tanks throughout the space, each mounted atop a robotic base that records and translates its inhabitants swimming patterns to the moving treads on the bottom of each structure. The result is a set of free-roaming sculptures, controlled by the fish’s own movements through the water. 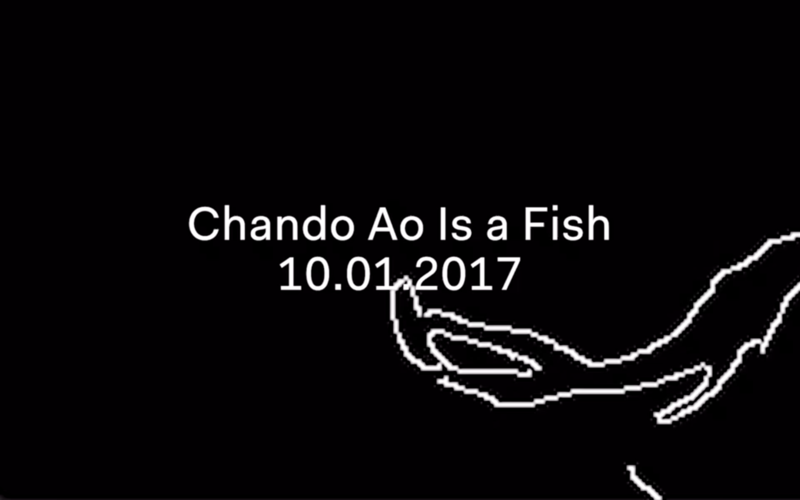 Sound tracked by artist Richie Jen’s Chinese karaoke hit “I Am a Fish,” the project’s sly concept opens a distinctively nuanced engagement with the concepts of cognition and perception. One is challenged to consider whether the fish’s own cognition of the space around them, and outside their realm of existence, is capable of changing their movements, or ultimately bridging the gap between their diminutive forms and those of the human observer. In this trade-off, one must always wonder, who is really inside the fish tank, peering out at the world around them? Visits are by appointment only. You can see a sample video here and here. Born in Chongqing, China, 1990. Lives and works in New York and Shanghai.